♥ It's one of my favourite times of year. I love Fall and Halloween. I mean, look at my blog currently! ♥ I'm currently watching The Corpse Bride as I write this and planning a tattoo in relation to the film. I do love my Tim Burton films and this time of year is the perfect time to watch them. I like to watch them with subtitles on and sing along. ♥ I'm usually not a fan of Disney stars come musicians. And I was never a fan of Demi's music but I loved Skyscraper as soon as I first heard it. The album is just as good. I also find a lot of the problems she suffered with in the past, are extremely easy to relate to. At least for me. It's a really good album so I suggest you all go and give it a listen! ♥ Yankee Candles. Oh they are rather delightful aren't they? I fell in love a while back after I bought a ton of votive samplers. My favourites at present are apple cider and the cinnamon and sugar. The votives don't last me very long though so I think I'm going to have to invest in some decent size ones because I burn them so much, especially when it gets to Winter. 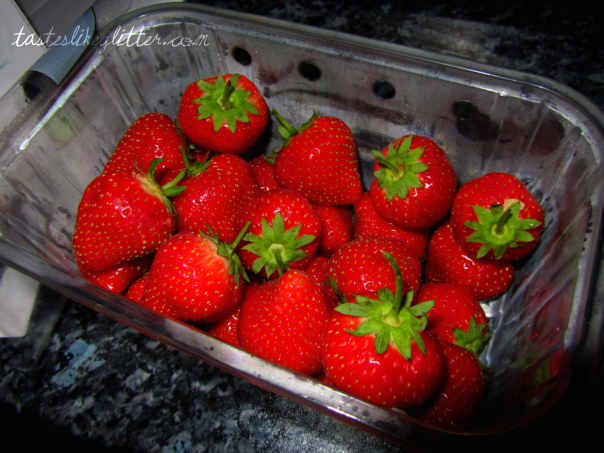 ♥ I've also been making the most of what's left of British produce. Don't those strawberries look delish? They haven't come very far either. They were grown quite close to me. ♥ Have you noticed how much I've blogged this month? I'm pretty sure this is the most I've blogged in a single month. My new work hours are helping a lot with that. Although sometimes my sleeping will mess up (like now) I am really glad I changed. It is difficult getting out of bed at 5AM when it's cold though. :( But I crawl back in it for a little while as soon as I get home. ♥ I haven't been up to much the last fortnight really as I'm going to Cardiff in two weeks. Eeeee I'm so excited! I've never been to Wales before but since it's Callum's birthday and I have some time off work, I'm taking a trip up there. ♥ Don't forget to follow my new Twitter if you still don't.